Contact us for a free consultation, today. 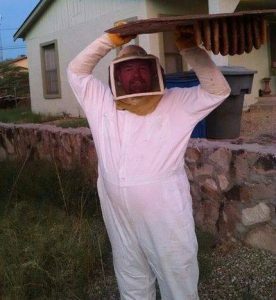 At Barton Family Pest Control, we strive to give you the same service we would expect at our home. I am the owner and technician and have over 15 years in the industry. I have experience from large commercial properties to the smallest residential properties. I have been involved with small two-man companies and I was the service manager for a large company in the valley. I decided to start my own company to allow more personalized service and time to do the job right. All my equipment and vehicles are paid for and serviced by me, so I can keep the cost down for all of us. As you can see, I have a big family and take what I do seriously to ensure I have stability in my company to provide for them. Thank you to my current customers and I can’t wait to meet the needs you have as my next customer.